When I first went to taste the nut butter, I was surprised by how liquidy it was compared to a normal nut butter. This is the result of the MCT oil. A moment later, I read the side of the jar and saw the recommendation to store it in the fridge. Regardless, my first taste of it unrefrigerated was still delicious! The taste of the vanilla bean powder is quite noticeable and makes the nut butter quite tasty. I don’t mind sweetness one bit, but if you’re on a keto diet, you’re probably used to eating unsweetened nut butters, so this may stand out to you. Once I stored my jar in the fridge, the nut butter thickened—although it was still very soft with a somewhat oily texture. At one point, I was talking while holding my spoonful of Perfect Keto Nut Butter, and it slipped right off my spoon because I wasn’t paying attention! As you can see, these macros are excellent for a ketogenic diet, although it’s best not to induldge without limits if you’re trying to keep your carbs ultra low. I also think the nut butter would be more nutritious if it contained a bit more protein (see this quick video on why you shouldn’t be afraid of protein on keto). I tend to have one or two hefty spoonfuls (maybe less than a tablespoon each) at a time. This stuff is very tasty, and I usually really, really want to have more as I don’t feel super full despite the high fat content. Can You Get Perfect Keto Nut Butter Free? What About a Promo Code? 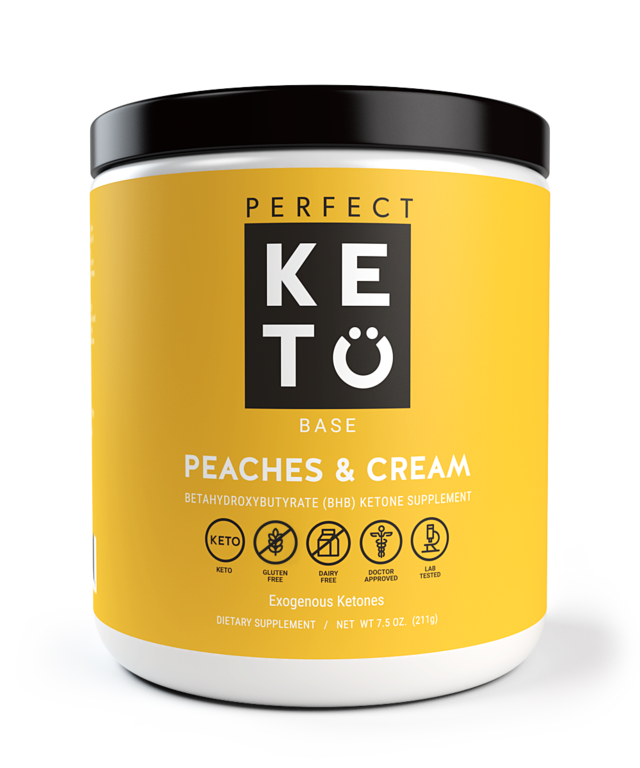 At one point, Perfect Keto was giving away free Nut Butter with orders of $75 or more, a promotion that I unfortunately missed. 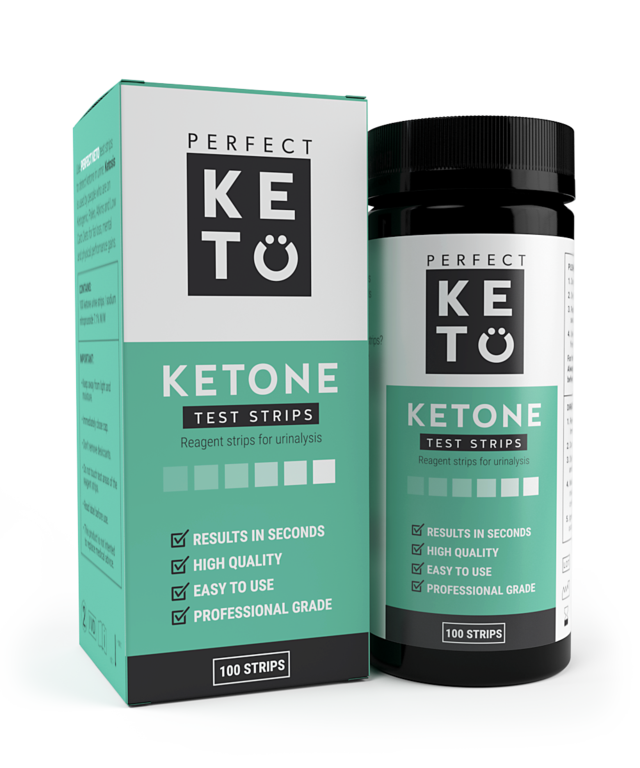 While this promotion is no longer valid, one of the cool things about Perfect Keto is that they frequently run giveaways and offer customers special coupon codes. 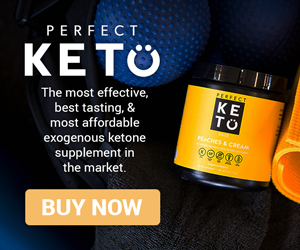 Although you can’t get Perfect Keto Nut Butter for free at this time, you can use my promo code FISHYKETO for 15% off at checkout when you order your Nut Butter or any other Perfect Keto product. How Much Does Perfect Keto Nut Butter Cost? An 8 ounce jar of Perfect Keto Nut Butter costs $17.99 USD on Perfect Keto’s website. Admittedly, my first reaction upon opening my package was that I wished the jar was bigger, although I would have known that in advance if I’d paid more attention. The jar is 8 ounces and contains 7 servings, which are two tablespoons each. By comparison, a typical jar of peanut butter or almond butter is twice the size at 16 ounces. My 15% off discount code FISHYKETO definitely helps, but I’ll be honest and say that yes, the price seems a bit high for the amount you get. At the same time, this is a high-quality product that is uniquely made for a keto diet and tastes amazing. Nut butters you can buy at your local supermarket are unlikely to be blended with MCT oil or have 2g net carbs per serving, and if you’re thinking of making your own, keep in mind that macadamias are expensive anyway. The lowest carb nut butter I’ve found at a store is raw almond butter with 3g net carbs for 2 tablespoons at Trader Joe’s. So, I would absolutely recommend you give Perfect Keto Nut Butter a try. You can order Perfect Keto Nut Butter on the company’s website for $17.99 as well as on Amazon for $18.97. 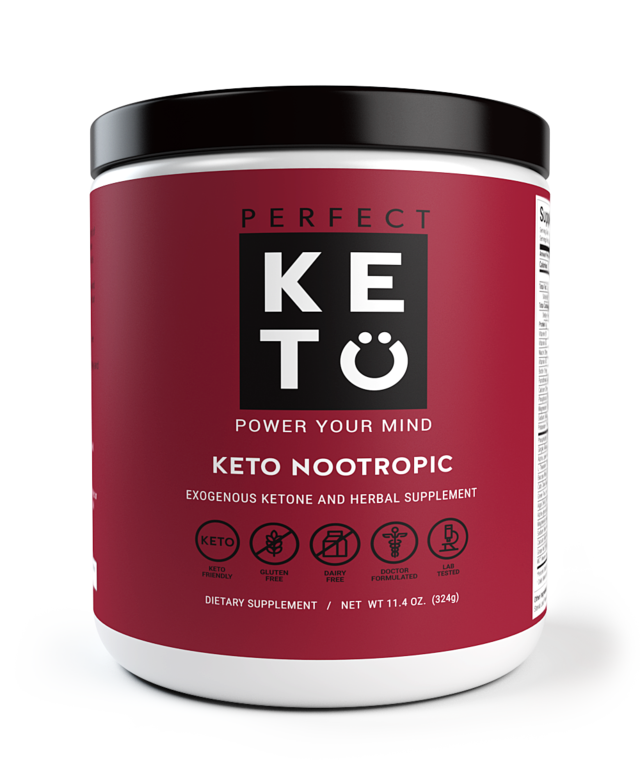 Plus, remember that if you buy it on the Perfect Keto website, my discount code FISHYKETO will get you 15% off. 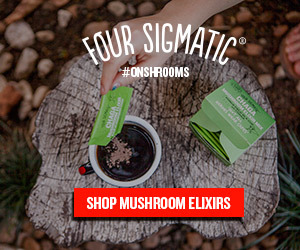 I’m likely to order this product again and am planning on adding it to my fat bombs along with coconut oil and cocoa powder. 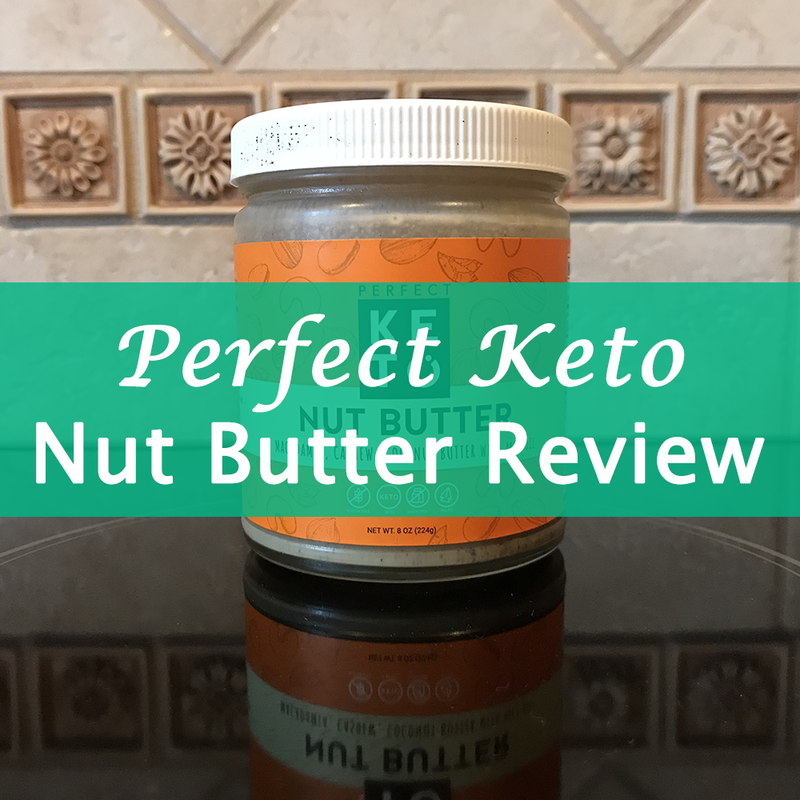 Have you tried Perfect Keto Nut Butter? What did you think? Share your thoughts in the comments section!